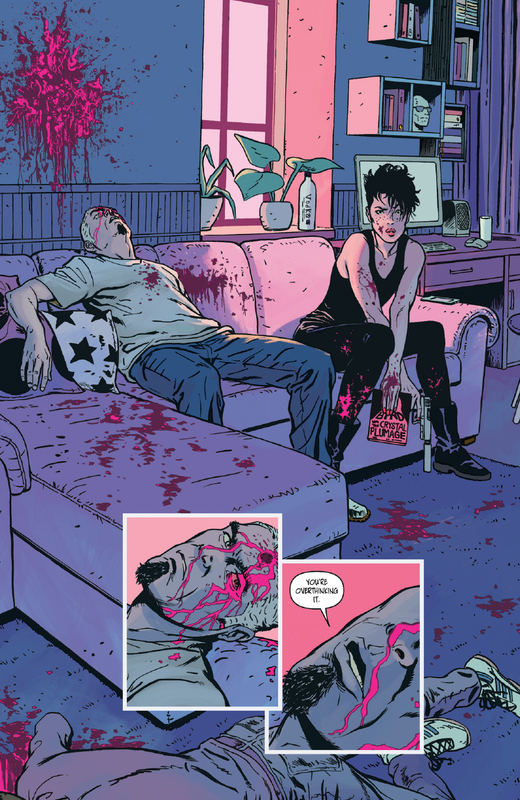 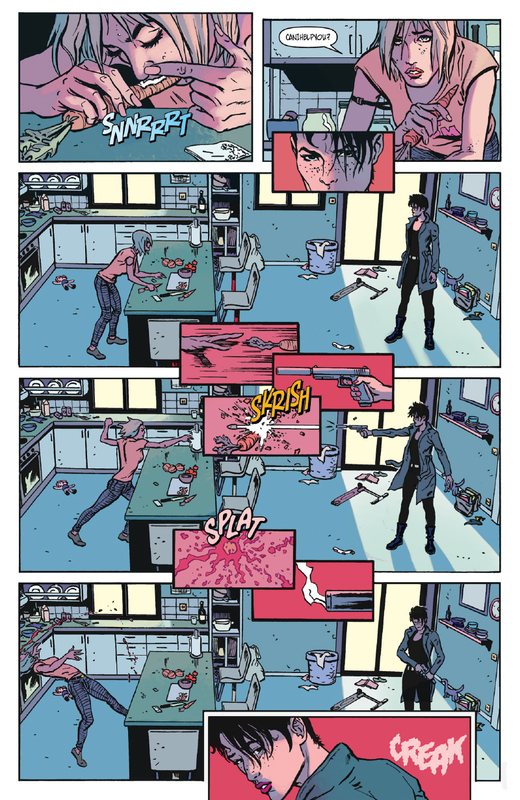 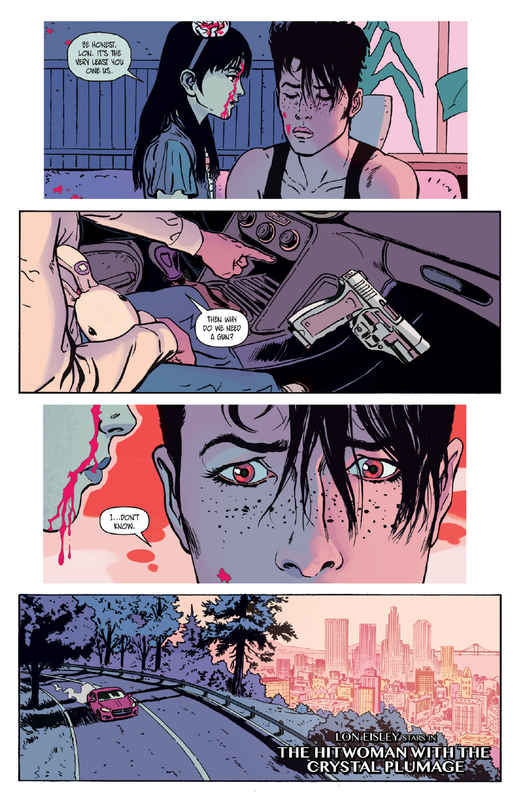 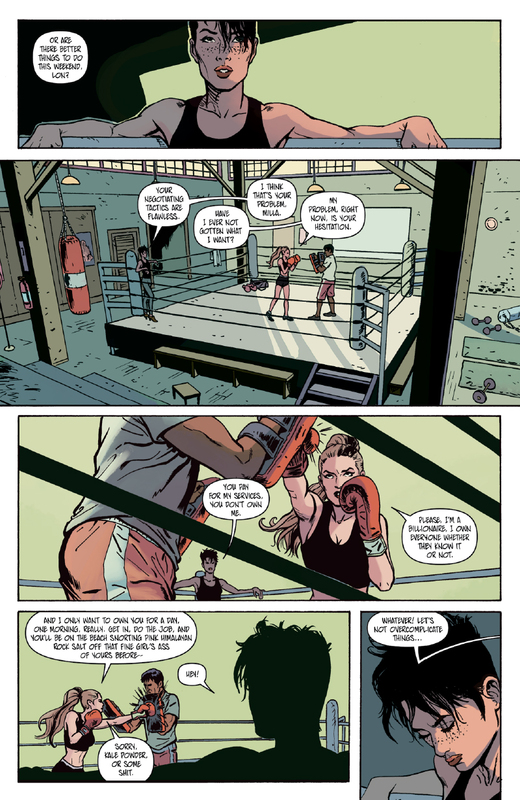 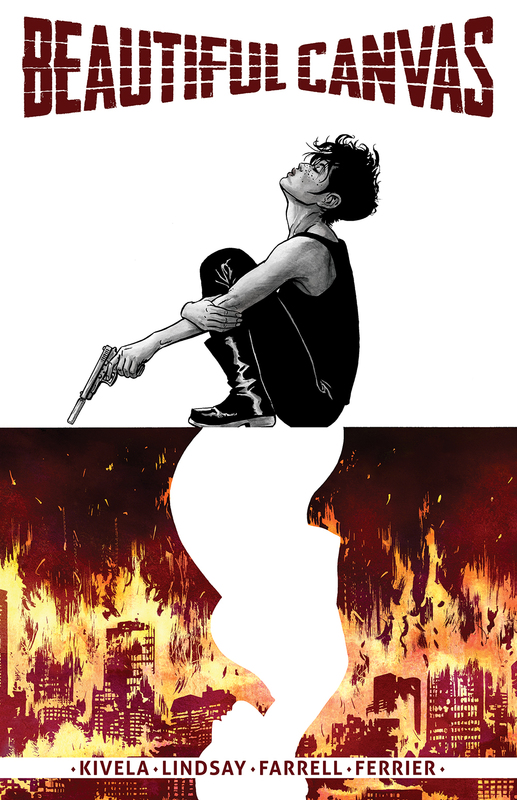 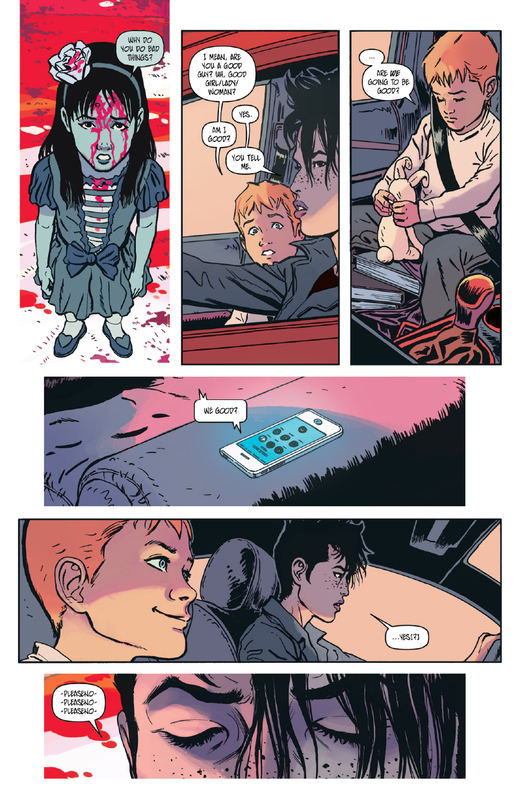 Coming next week from Black Mask is BEAUTIFUL CANVAS, an elegant, gorgeously rendered, insanely twisted story that's kind of like The Professional if Leon was a queer hitwoman and Matilda was a boy with powers. 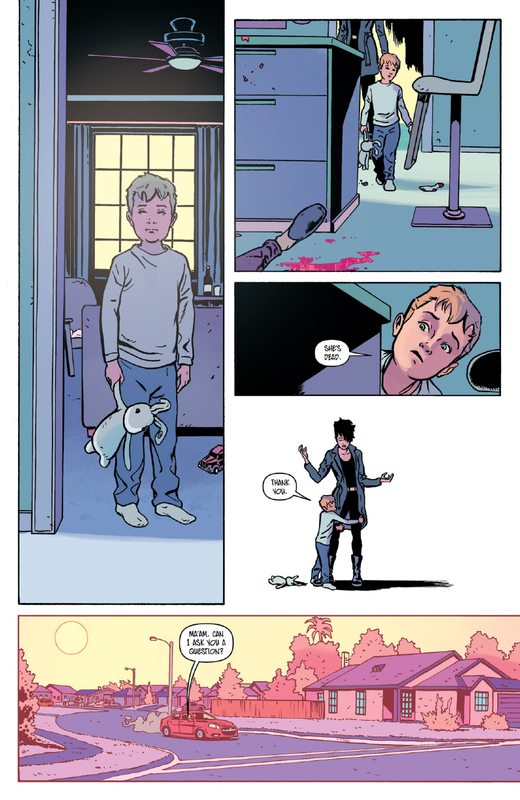 Written by Ryan K Lindsay (Eternal, Negative Space, DC Writers Program), illustrated by Sami Kivela (Abbott), and colored by Triona Farrell (Doctor Who), Beautiful Canvas was a breakout buzz book in 2017 that continues to garner increasing acclaim and attention. 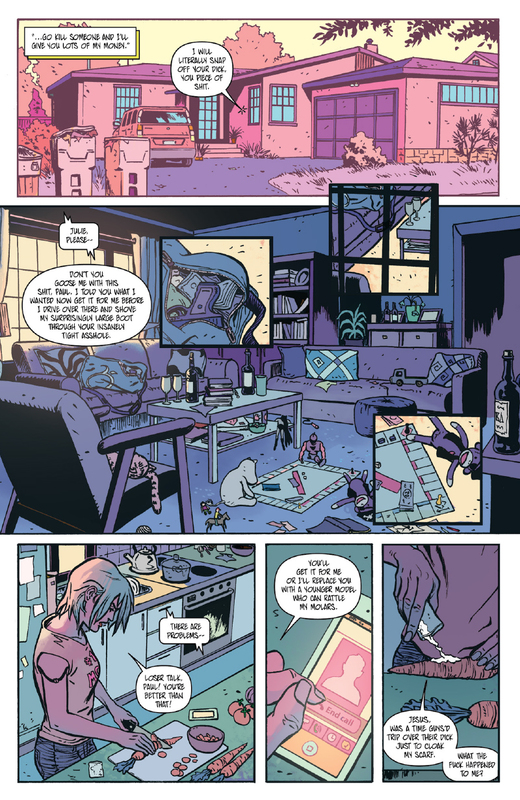 From the creative team of Sami Kivela (Abbott) and Ryan K Lindsay (Eternal, Negative Space, DC Writers Workshop) comes this gonzo world of future noir, where the story aims to deliver a brutal blow to your heart and piss in your brainpan.